Below you can view all the homes for sale in the Brier Creek Country Club subdivision located in Raleigh North Carolina. Listings in Brier Creek Country Club are updated daily from data we receive from the Raleigh multiple listing service. To learn more about any of these homes or to receive custom notifications when a new property is listed for sale in Brier Creek Country Club, give us a call at 919-928-5027. Convenient to great shopping, dining RTP, RDU & I-540. MLS#2249874. 649. Enjoy golf course views from the custom flagstone patio & wet bar, entertain in the game room or sit a spell on your rocking chair front porch. MLS#2248335. 4402. Corner lot with a 3-car garage. MLS#2248375. 3982. Large screened porch, with two decks allow you to enjoy the unbeatable pond and golf course views. MLS#2247866. 4630. Enclosed Porch and Patio overlooking fenced backyard. MLS#2246749. 1128. This beautiful Brier Creek Country Club (BCCC) Toll Brothers Muirfield model is the Savannah elevation with finished basement * It has a full, second kitchen and a 4th bedroom in the basement * Both kitchens have stainless steel appliances, gas ranges, and granite counters * Brick exterior on 3 sides (the rear of the house is cement fiberboard) * The home backs to trees and golf course * Gorgeous, site-finished hardwood floors are on the main level and on the second level * Soaring, 2-story family room. MLS#2247800. 238. Whole house generator, new HVAC and water heater! MLS#2246090. 5234. Other highlights include freshly updated bathrooms, newly replaced HVAC units, freshly stained large rear porch, three-car side-entry garage, large pantry, an abundance of storage, and a perfectly manicured yard. MLS#2246580. 1071. On top of all this you will love being close to the airport, RTP, and easy highway access. MLS#2246627. 1127. Kitchen w/ upgraded Cabinets, abundance of Counter Space & Island, Large Bedroom's, gas line for grill at patio. Conv to RTP MLS#2246419. 1757.
basement features Bedroom, full bath, lv Room, theater, exercise Room, wine cellar, wet bar, steam shower. Patio w/firepit and Fireplace. MLS#2245390. 1502. Enjoy all of the luxury lifestyle that Brier Creek has to offer ... Call Today! MLS#2245197. 3770.
restaurants and all the Triangle has to offer. MLS#2245155. 64. 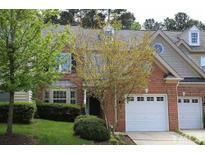 Walk to Brier Creek Shopping & Rstrnts. MLS#2243784. 636. Appliances convey. Secure building with Elevator access. MLS#2243707. 636. Oversized Master Suite w/sitting area, 2 W/I, en-suite Spa Bathroom ftrs soaking tub, separate glss tile shower, double sink vanity. Attached one car across hall. MLS#2243780. 636. Brier Creek CC social membership req, includes 3 swimming pools, great dining, social events all year. FUN place to live! MLS#2241230. 1319. Immaculate and well cared for, see agent remarks for list of improvements. MLS#2236640. 987. Expanded Trex Deck,Sec System, newer water heater & 2nd fl crpt, hot water recirculators, hardwoods, built in spkrs. Schedule today - this is it! MLS#2241175. 297. Brier Creek Country Club lifestyle can be yours. MLS#2240686. 297. 3 guest bedrooms&bonus loft!Spectacular screened porch&Deck overlooking landscaped backyard.Great Location!Minutes to RDU,Shopping&Restaurants! MLS#2240737. 1128. Community features pool, golf, tennis, clubhouse. MLS#2239827. 987. Champagne Master Suite w/huge w/i closet & built ins.. Custom patio & deck! Irrigation system. MLS#2239271. 1709. Custom Closets throughout. Rare Walk-up Attic.Patio overlooking yard. MLS#2238109. 1128.